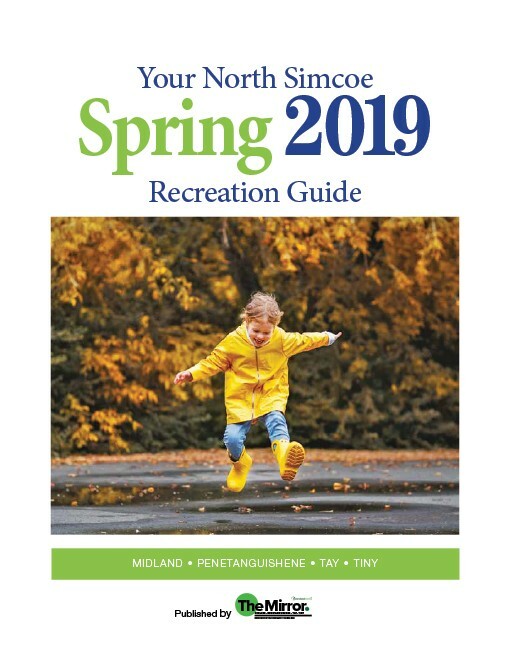 Recognizing the role that recreation and culture play in promoting healthy lifestyles and social interaction, North Simcoe strives to provide community and political support to ensure that services are properly delivered, maintained and enhanced. Recreation services are made reasonably accessible and affordable to all residents, recognizing that different individuals or groups may have different needs and expectations. Recreation in North Simcoe embraces the natural surroundings and heritage sites and build upon the opportunities provided by these assets through the exploration of programming options and the promotion of recreation and cultural activities associated with these assets. The Town of Midland is based in the heart of one of our nation’s most beautiful recreational areas and offers a range of activities to make it a four-season destination. Midland has a dynamic recreational waterfront, which includes the picturesque harbour, and waterfront trail for walking, biking and rollerblading. The summer season affords an opportunity to view the beautiful horticultural displays throughout Midland and enjoy a relaxing afternoon at Little Lake Park. Take a stroll through the hub of our downtown area and enjoy the array of boutiques, restaurants and services, as well as the beautiful murals scattered throughout the downtown core. The winter season has just as much to offer. The Georgian Bay Snowriders have been providing snowmobile trails for over 30 years in the Midland and surrounding area. The Midland Curling Club, which was inducted to the Midland Sports Hall of Fame in the “Historical Sport Facility” category, on October 9, 2004, has been providing its members and guests with a fantastic curling and social experience since 1919. The North Simcoe Sports and Recreation Centre is a multi-purpose facility, and home to two ice surfaces, which allows for flexibility when accommodating all the needs of the community. The Arts also thrive in this growing and diverse community. The Midland Cultural Centre (MCC) is a self-sustaining, inspiring and functional year-round facility for arts and culture in North Simcoe. The MCC provides a facility for music, art, theatre and culture with ongoing programs and events. The Huronia Museum also offers excellent exhibits for those interested in the culture and history of the area. The Town of Penetanguishene has many parks and trails to explore. A well-known trail, such as the Trans Canada Trail, spans across Canada and enters Penetanguishene on a paved trail complete with wooden bridges and forested areas. Perfect for biking with the family or taking a leisurely walk or run. View the trails that are located throughout Penetanguishene. Larger parks, like Rotary Park, offer a wider range of recreational facilities such as a dog park, Frisbee golf, picnic shelters, public accessible washrooms and parking. Penetanguishene offers many different Parks and Playgrounds and Sports Field Parks. Experience the beautiful open spaces of Penetanguishene for yourself. The Tay Shore Trail is a paved, multi-use, accessible trail that follows the shoreline of Southern Georgian Bay. The trail connects the communities of Midland, Port McNicoll, Victoria Harbour, Waubaushene and Severn Township. The completed multi-use paved trail stretches 18.5 km through the Township and is registered as part of the Trans Canada Trail. From the Wye River to Waubaushene and into Port McNicoll along the Trestle Trail, users can enjoy the nature setting of the trail which is enhanced by informative plaques outlining the natural and historical aspects of our municipality. The Tay Shore Trail passes through wetlands, fields and wooded areas, over the Wye, Hogg and Sturgeon Rivers and into our quaint community villages where you can stroll our downtowns and stop for lunch. Experience the history within each community through our self-guided heritage walking tours highlighting homes and businesses from the lumber and railway era. The Tay Community Rink has winter operations from November to March each year and is also available for summer activities. Located at 290 Park Street in Victoria Harbour, the Oakwood Community Centre houses a large gym area complete with stage and sound system. This is the site of the Township Summer Day Camp programs throughout the months of July and August annually. The facility boasts lots of tables and chairs for private functions such as weddings, jack and jill’s and anniversary parties. There is a full kitchen with large freezer, two fridges, convection oven, large cooking stove and dishwasher (dishes are available if requested). This is an ideal setting for a wedding reception, community meeting or recreational program. Serving the villages of Port McNicoll, Victoria Harbour, Waubaushene and Waverley, Tay Township has four (4) main recreational parks that host a wide variety of programs. View the recreation guide here. Tiny’s goal is to provide optimum access to a wide variety of recreation pursuits to meet the needs of all residents and to work co-operatively with the community, volunteers and neighbouring communities. The Tiny Trail is a 23 kilometre recreation trail. It was one of Ontario’s first rail-to-trail conversions when it was purchased in 1978. It is registered as part of the Trans Canada Trail System. The Tiny Marsh is Ontario’s first provincially owned and managed wetland. It is one of approximately 1,200 Important Bird Areas (IBA) recognized in Canada. It offers visitors year-round use of approximately 600 hectares (1,482 acres) of marsh and 300 hectares (741 acres) of field and forest. Awenda Provincial Park is located in a beautiful setting on the shores of Georgian Bay across the bay from Georgian Bay Islands National Park. The park is mostly hardwood or mixed forest, with areas of fen and bogs along with the fields remaining from earlier farms and homesteads. You’ll find several good hiking trails along with beautiful natural beaches alternating with rugged rock strewn shores. Above the beaches is a 35m bluff which is accessible from the trail system. This is a great campers’ park, with lots of shaded sites and all the amenities. The Township has within its borders approximately 1,385.27 hectares (3,422 acres) of Simcoe County forest. The County forests were originally established to rehabilitate damaged land. With increased population and public need for forests, the role of the County forests has changed to include: public recreation, conservation, wildlife habitat, educational opportunities and scientific research.